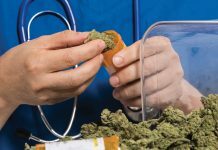 Home News Medical Cannabis News How are companies providing services to Australia’s medicinal cannabis industry? 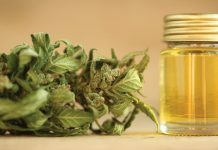 CEO of Anspec, Peter Comerford provides an insight into the burgeoning landscape of the medicinal cannabis industry in Australia and Anspec’s role in its growth. Talking about cannabis as a medicine can become a full-time job as this global tsunami of an industry rolls across the globe. Thankfully, at Anspec we managed to carve out a unique leadership position in the Australian medicinal cannabis industry and it is still only a small part of what we do. 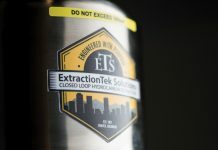 We have an annual financial turnover larger than many of the largest cannabis companies in the world. For 27 years we have been in the business of importing and exporting pharmaceuticals, especially for compassionate access, shortage supply and for developing nations. For the last 12 of those years we were the prime vendor for pharmaceuticals and health products to our Australian Defence Forces. Naturally, our expertise in proper paperwork, security and close ties with our Australian regulators (the TGA and NSW Health) placed us perfectly to support the Australian government(s) in their ambition to increase access to medicinal cannabis for Australian doctors, pharmacists and, most importantly, patients. Agnostically, we import more brands of cannabis into Australia to meet the exponentially growing demand than any other company. We also distribute most of the Australian manufactured and registered products. In March last year, because of having, or (then) almost having, the full spectrum of Australian cannabis licences under one roof, we were fundamental in supporting the Federal Government on opening access to all doctors across Australia. The minister decided to create a digital portal to make application easy for doctors with a guaranteed response within 24-36 hours. We in turn guaranteed next-day delivery to any pharmacy nationwide. The result has been an exponential growth in approved patients (usually for between 6 and 12 months) by ad hoc doctor application as well as significant growth in authorised prescribers whose equally significant patient numbers are in addition to the exponential curve. 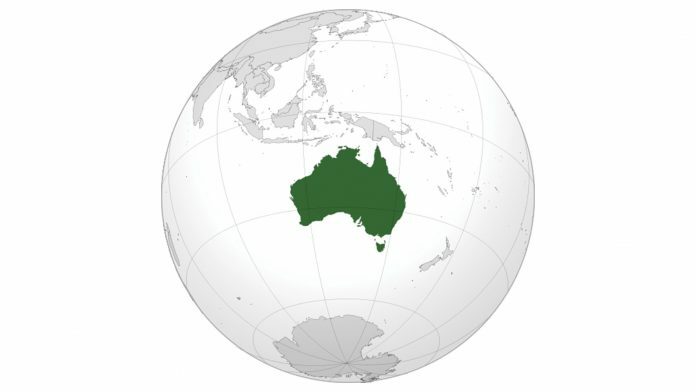 Why has one of the most conservative countries in the developed world decided to lead the Southern Hemisphere into legalisation for medicinal use? Because of patient demand and clinician support all focused by a federal minister who understands health outcomes and economics. In fact, Federal Health Minister Greg Hunt said in January 2018 that he sees Australia as “potentially the world’s number one medicinal cannabis supplier”. Australia can supply the full value chain: growing, manufacturing and exporting the concentrated active ingredients (oil) or the finished product. In response, Australian entrepreneurs courted Canadian and Israeli expertise and started to attract investment. Licences have been applied for, granted, in some cases used, and, in fact, the first Australian manufactured product has been distributed (MedLab), as has the first Australian grown and manufactured product (Little Green Pharma), with more to follow. Regulators have agonised over creating the right framework for access. Whether to insist on full pharmaceutical clinical trials or to work with the safety and quality data to find a different mode of access, to insist on specialist medical opinion or to integrate care through the GPs who best know the patient. In the end it was an all doctor prescription model, dispensed through pharmacy to avoid fractionation of care. 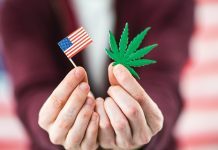 Cannabis is a health product, not a disease state, although, due to 100 years of ‘prohibition’ of the already registered (US pharmacopeia), the dearth of research and clinical discussion has left many doctors in the dark and needing to catch up or consult more experienced colleagues. For our part, Anspec has over 26 years’ industry experience in supplying pharmaceutical, medical, dental, health consumables and now medicinal cannabis services to wholesalers, distributors and healthcare establishments in Australia and into international markets for shortages, trials, distribution and for compassionate access. We can reach 35 countries with ease and have long-standing partnerships in the UK, Ireland, Germany, Austria, Turkey, Brunei, Singapore, the Pacific and even Canada. Our services extend to developing a network of domestic hospitals and aged care facilities at the highest levels to make available our procurement and ethical supply when they need it most. 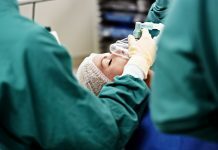 Having identified innovations from other business and with great partners to offer the best products, we seek to improve the lives and experience of patients. Anspec has, in the most ethical manner, facilitated the supply of first world pharmaceuticals, medical consumables and equipment into developing nations of the Pacific. Principally, these exports are to ministries of health or to clinics, private hospitals and pharmacies. Our reputation has expanded beyond the Pacific given our reliability in supply chain management that is customised to suit specific client requirements whereby we are trusted to deliver in over 35 countries worldwide. Operating from our extensive premises in Thornleigh (Sydney), our capability is trusted to deliver under a complete logistics solution as Anspec provides temperature-controlled managed warehouse, third party logistics (3PL) and fourth party logistics (4PL), import and export services, operating under ISO9001/15 and GWP compliance. We currently facilitate prompt fulfilment to over 200 pharmacies to date, but we are electronically connected to 5,300 out of a total 5,800 pharmacies in the country. Again, this is a unique Anspec capability in the Cannabis space, which will be valuable as pharmacies and doctors quickly grasp the simplicity of working with cannabis as a medicine. We work with over 150 doctors to support them in the care they give to their patients. We provide simple reminders for doctors that using TGA guidance and their normal clinical judgement is the best way to assess whether or not these products are suitable treatments for their patients under the Special Access and Authorised Prescriber schemes. We work with cultivators and sponsors helping with their compliance requirements. Anspec has a dedicated team of experienced professionals ready to engage with anyone serious and ethical about medicinal cannabis. The Australian governments have made it easier to access medicinal cannabis. 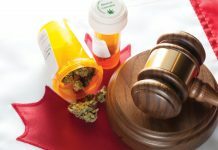 Unregistered medicinal cannabis may be supplied where a doctor decides that for a specific patient there is a clinical need. Multiple GPs are prescribing medicinal cannabis, not just specialists. New clinics are being opened by doctors who want to focus on medicinal cannabis as an integrated part of their practice.